I walk into this bar . . . on the river across from Manhattan. It’s to be a day of revelry with the veiled but elegant woman on my arm. I don’t know her myself, but this happens to be that kind of day. 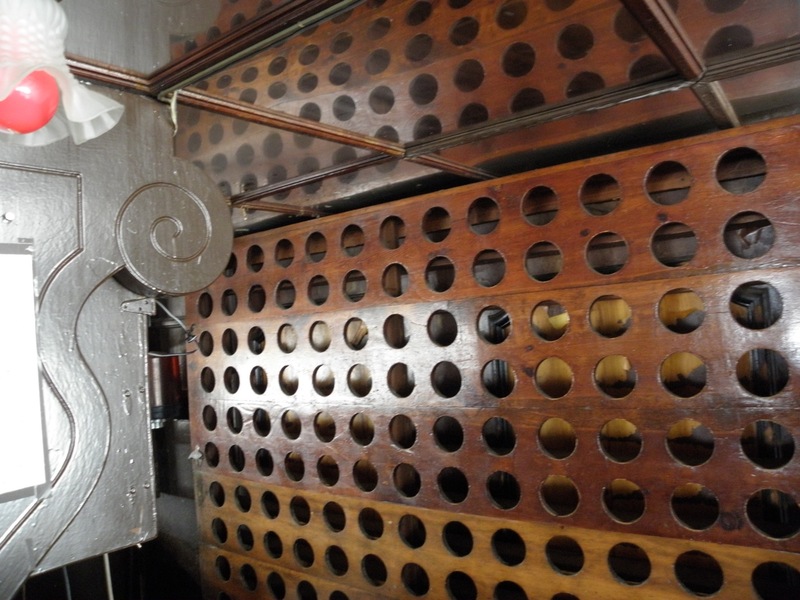 selection must be in the cellar, where daylight cannot destroy the rare vintage, maybe. could look at the menu. Then I see a man at the far end of the bar. He sees the beveiled one and I, and comes over. 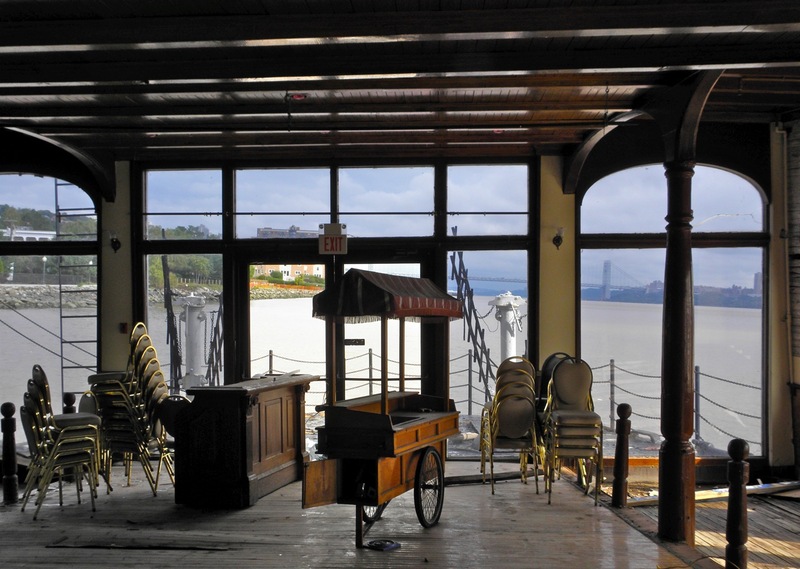 find a table with a view of the bridge, the George Washington Bridge. At this very moment, my lunch partner begins to remove her veil. Then she stands and walks toward the river side of the restaurant. The waiter, by now trembling, shouts, “Madame . . . do not go through that door! Stop! Really no! no! You must leave. Haven’t you done enough damage already! Then the phantasmagoria dissipated. 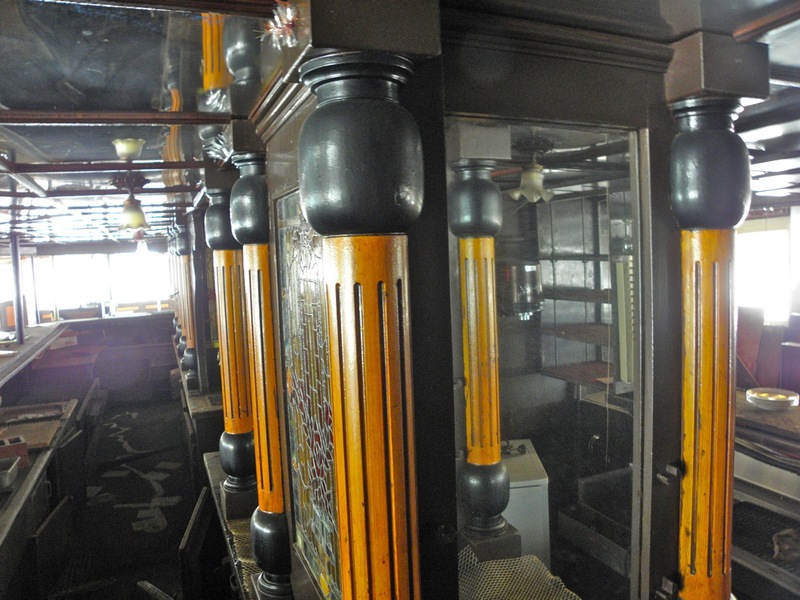 I was on ferry Binghamton in its last days, its 105-year-old structure gored by Irene. More fotos tomorrow. 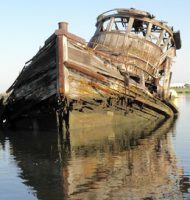 Gosh, what a beautiful boat, I hope somebody will restore it and bring it back to his old beauty. I know, I know this must cost millions but I believe it is worth it. Gorgeous! Pictures like that can make me cry, Will. 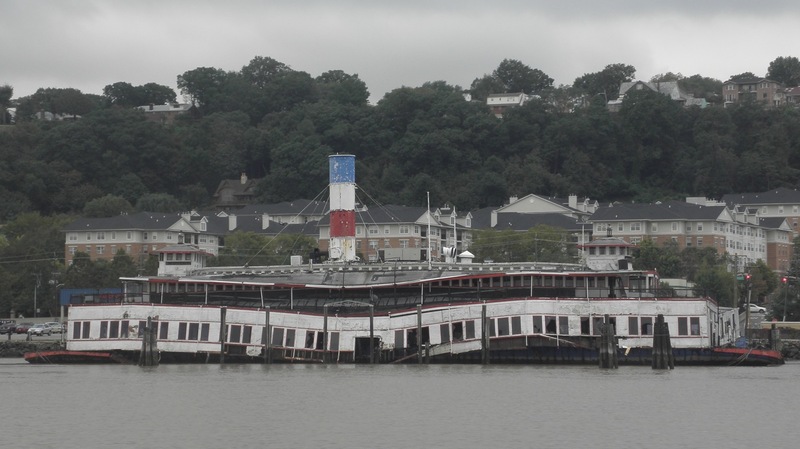 Having lived on a boat near the Binghamton about 25 years ago I was familiar with the venue in happier days. People should not think the boat originally looked that way. As a working ferry, the boat was alot more spartan – little of the woodwork in your pictures is original. 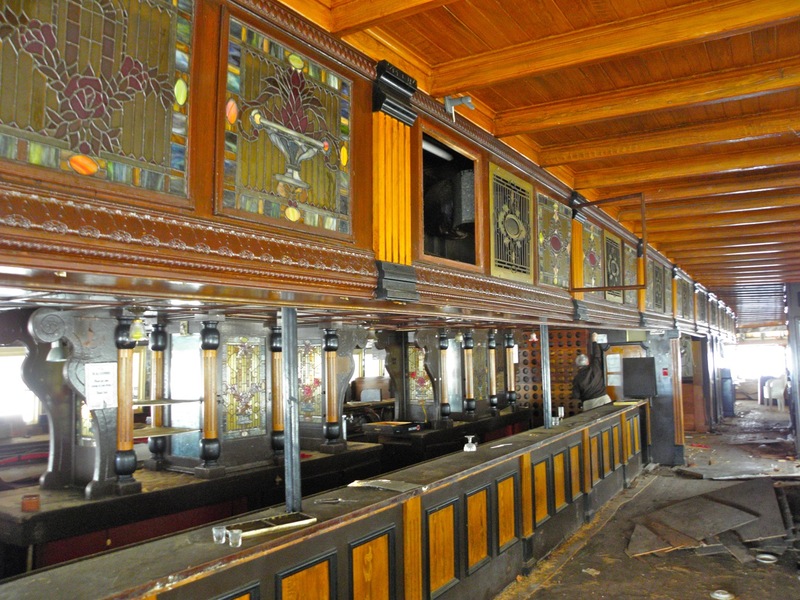 Most of the woodwork and stained glass was added in the 70’s making it a quintiessential “fern bar”. River Road at that time was an industrial wasteland – not the strip of condos and stores it is presently. 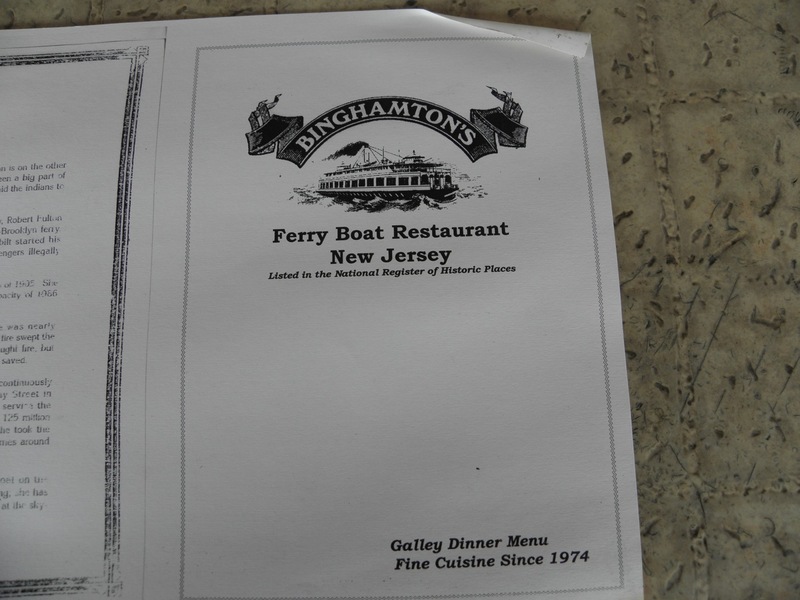 The Binghamton was one of the few decent restaurants in the area. 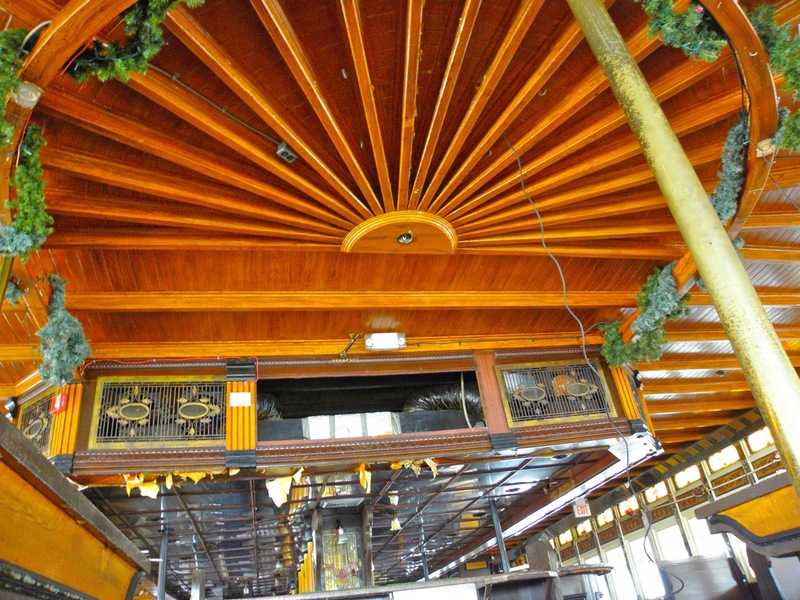 With the ambiance and great views it was a popular place and it was a wonderful retirement for the boat. 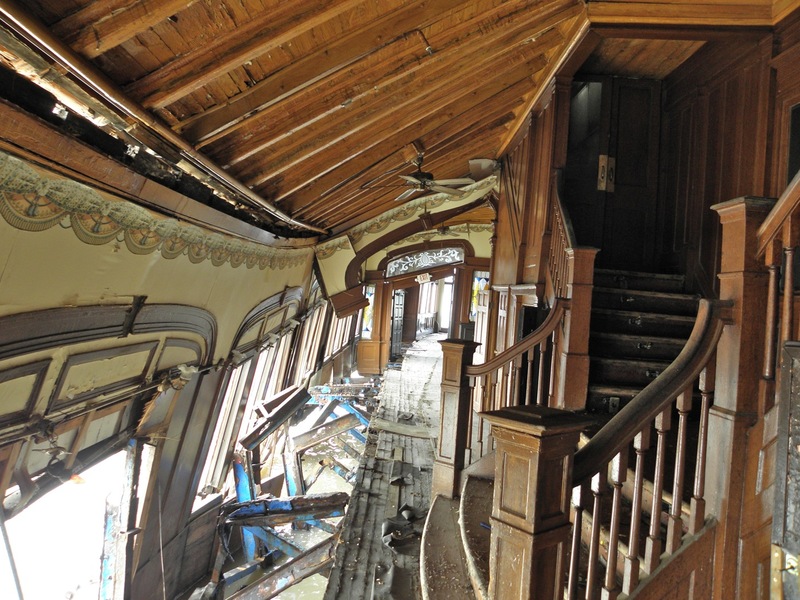 The boat could never be saved now – although I am surprised woodwork is still there and of course the concept is not unique. 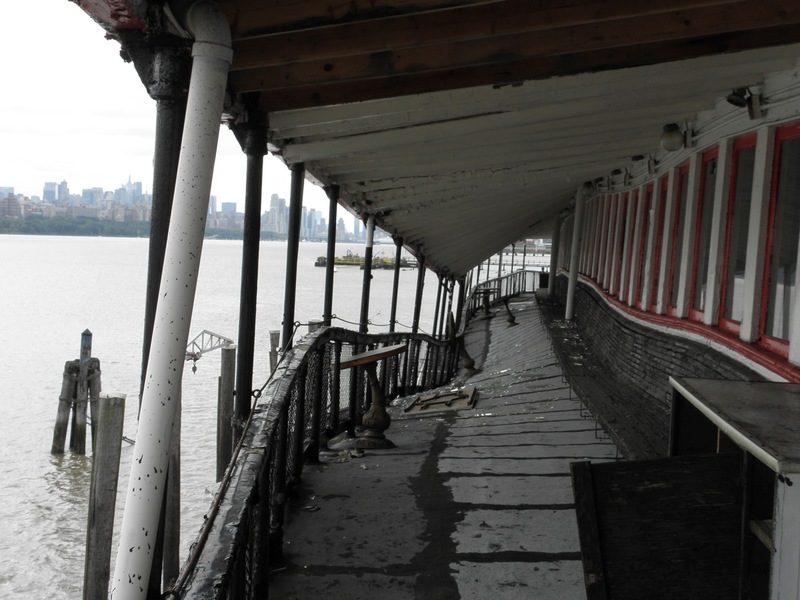 The Water Club on the East Side of Manhattan is actually a barge and there is presently a retired Staten Island ferry in Newburgh being converted into a restaurant. 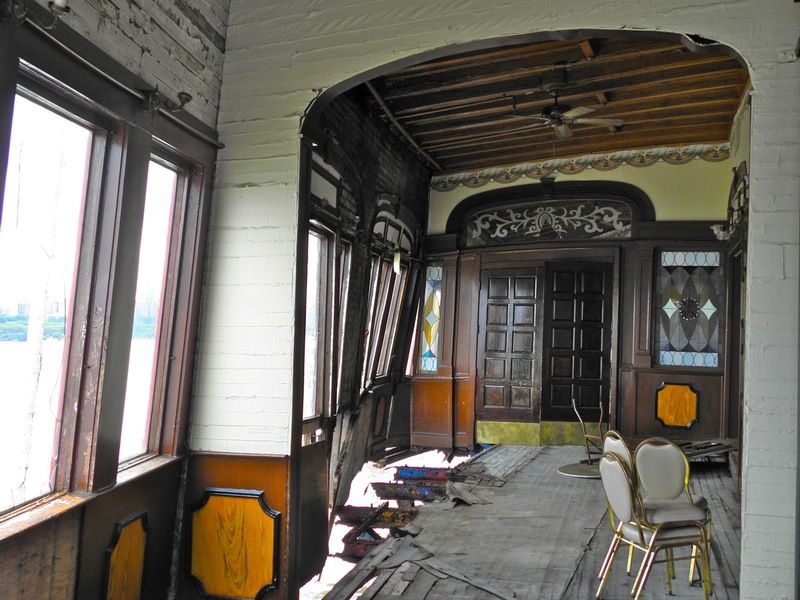 dave– thanks for the info on the staten island ferry being converted. 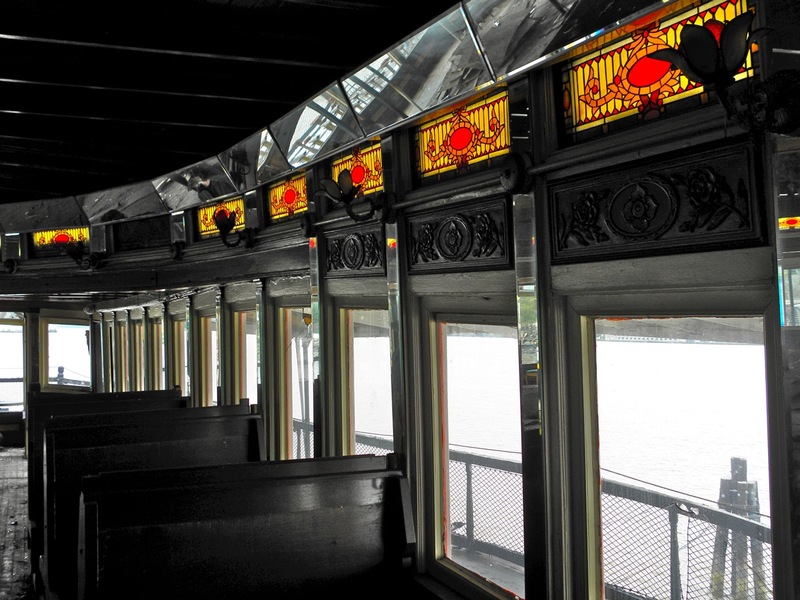 foto #7 above . . with windows looking toward the GW Bridge shows a space that once was the vehicle deck, and in the first decade of the 20th century–when Binghamton entered service–most of the vehicles riding there would be horse-drawn conveyances. anyone know of fotos of horses and their buggies, wagons, etc filling such a space? Great post, Will, about a very sad subject.